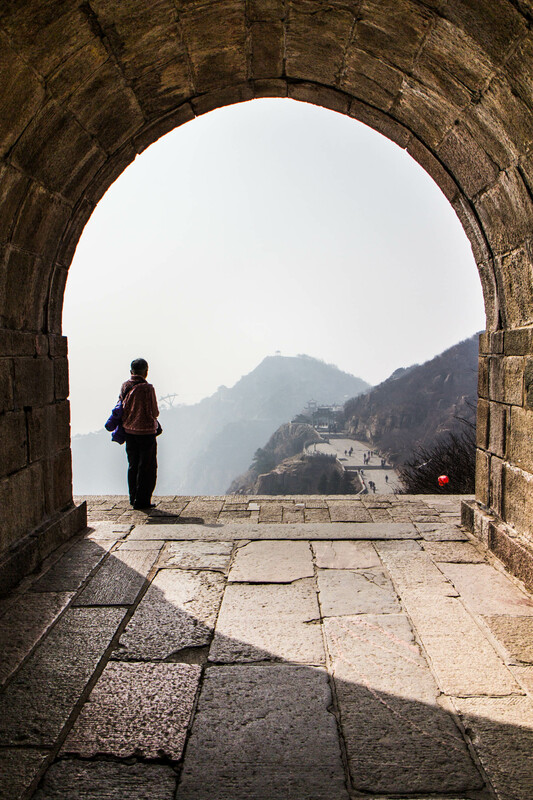 I love using framing to compose a shot; it adds another layer of depth to a photo that can really draw ones eye. Here are some framed shots! 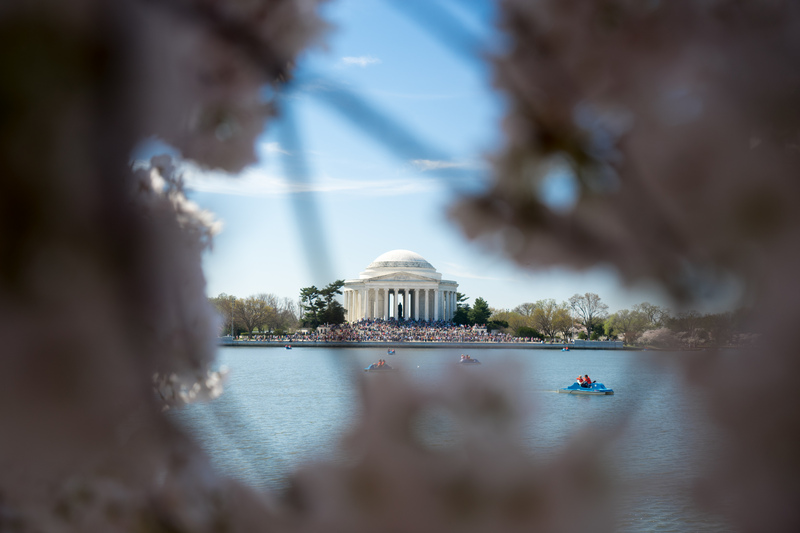 Here cherry blossoms form a natural frame for the Jefferson Memorial. It was a gorgeous day to see the cherry blossoms, sunny and warm! My alma mater, Cornell! 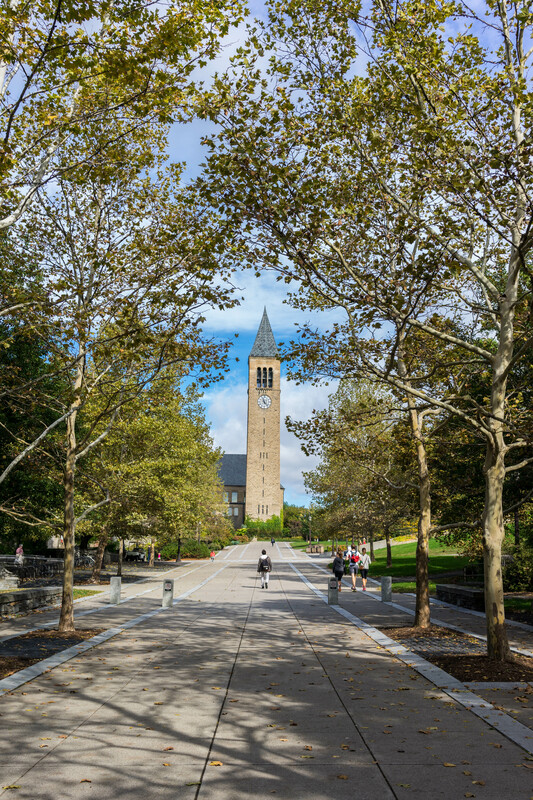 Here Mcgraw Tower is framed by the trees leading up to Ho Plaza. Another view from Cornell, this time from the A.D White room in Uris Library. 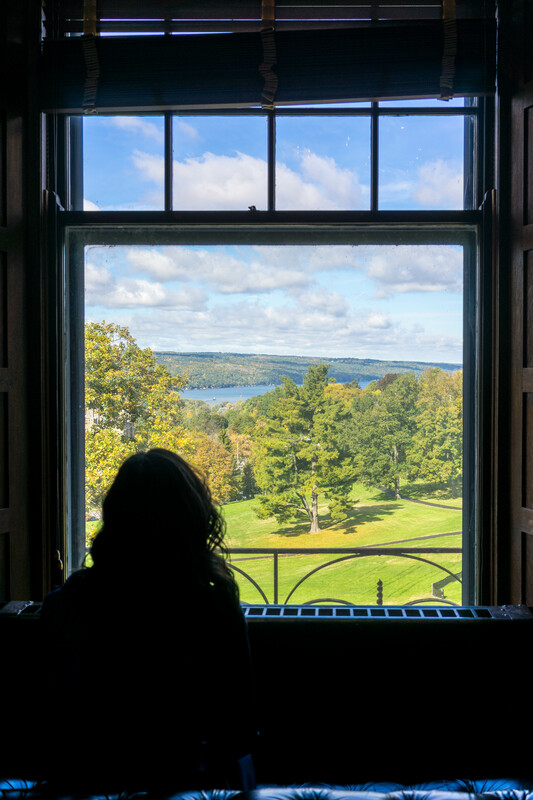 Just look at that view of Cayuga Lake… it would be hard for me to study here, I’d be so distracted by the lookout! 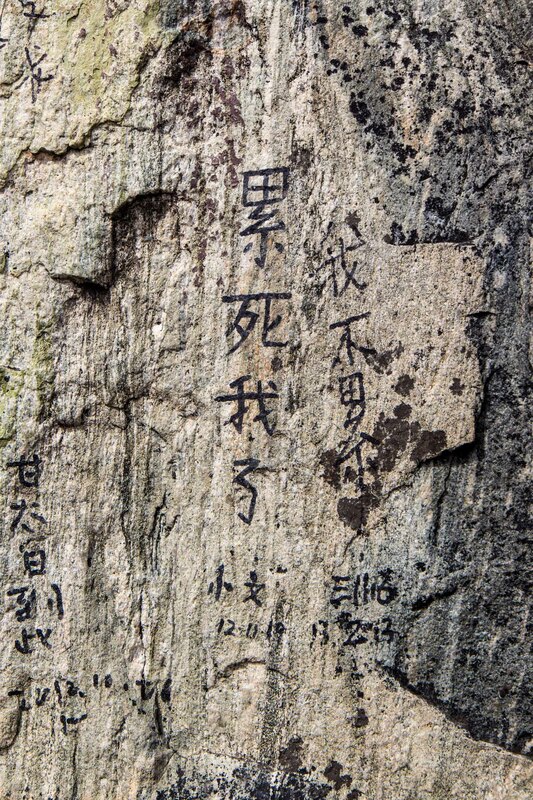 Lastly, a shot from the top of Mount Tai. 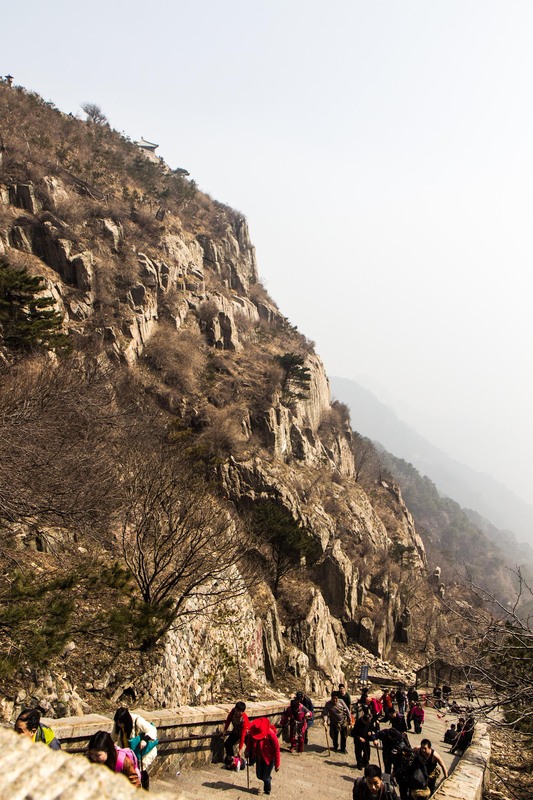 If you reached the top, that means you climbed up 5,000 feet! Or, if you’re like us, you took a bus to the halfway point and then climbed up those stairs. Or, if you’re really smart, you took the cable car to the top and enjoyed the views there… phew! To a short person like me (just a smidge under 5′) even hills can seem like mountains. And there were definitely times when I felt like walking up a hill was more like scaling a mountain of epic proportions (for Cornellians – slogging up Libe Slope through snow from West Campus to go to class during winter!). But for the sake of this week’s travel theme at Where’s my backpack?, I will stick to legit mountains and not just my little versions of mountains… or will I? Honestly, I’m not a huge fan of mountains – unless there’s a nice ski-lift bringing you up there! 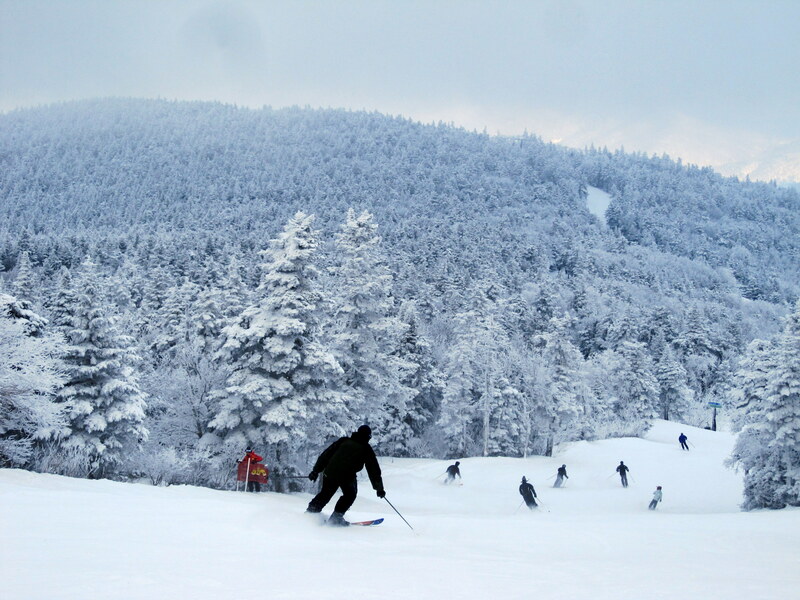 Here in New York most people bemoan snow – unless they are avid snowboarders or skiers looking for fun. I love the powdery trees here – they look so serene even while there’s so much action going on between them. 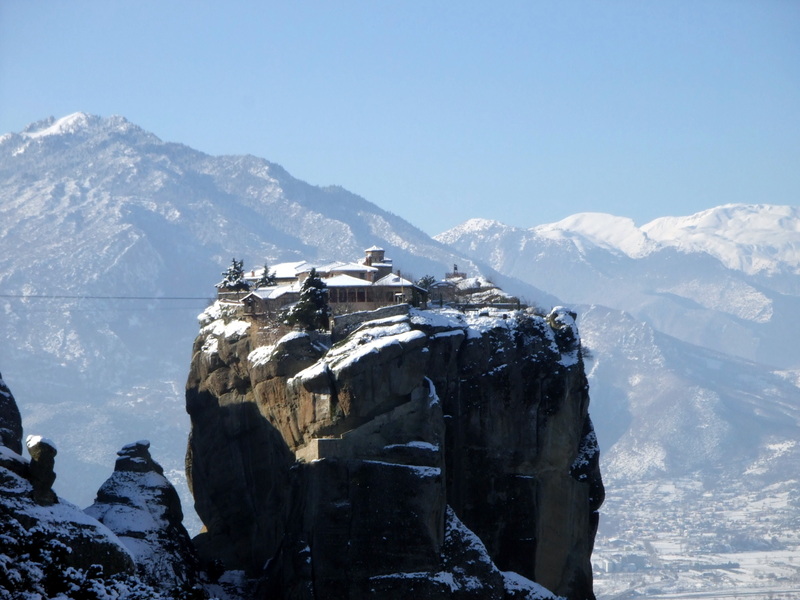 I’m pretty sure I’ve posted about these amazing monasteries in Greece that are built atop mountains before… but that is just how fantastic they are. 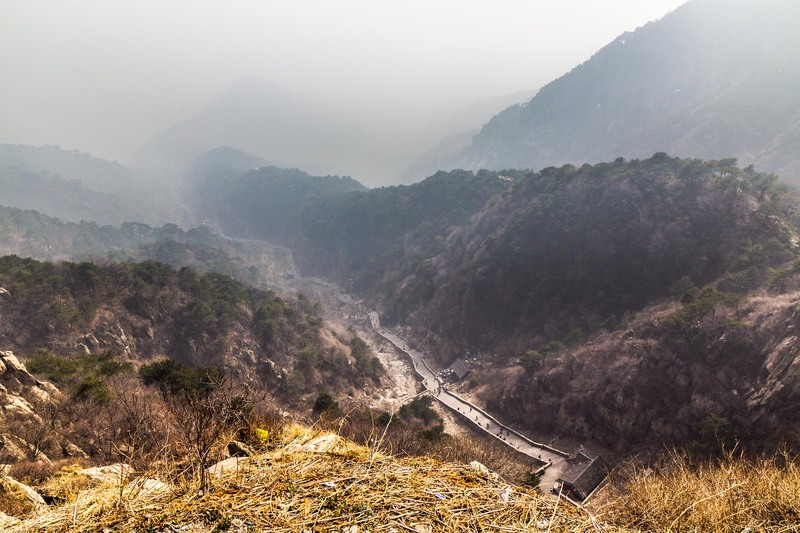 Putting a monastery on a mountain? I don’t envy the builders but the result is completely magical. 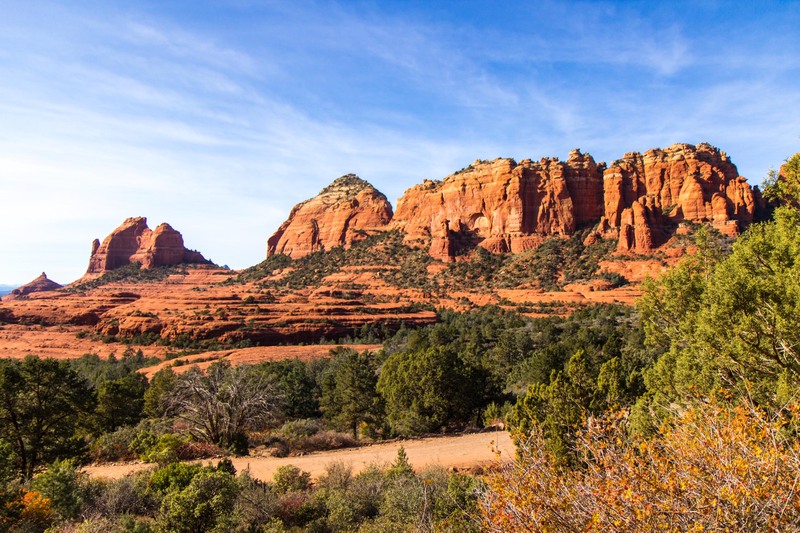 And now for something completely different – red rock mountains in Sedona, Arizona. The surreal landscape of Arizona was fascinating to me and my husband because it was totally unlike the scenery we’re used to in the Northeast. And finally, a mountain of adorableness! 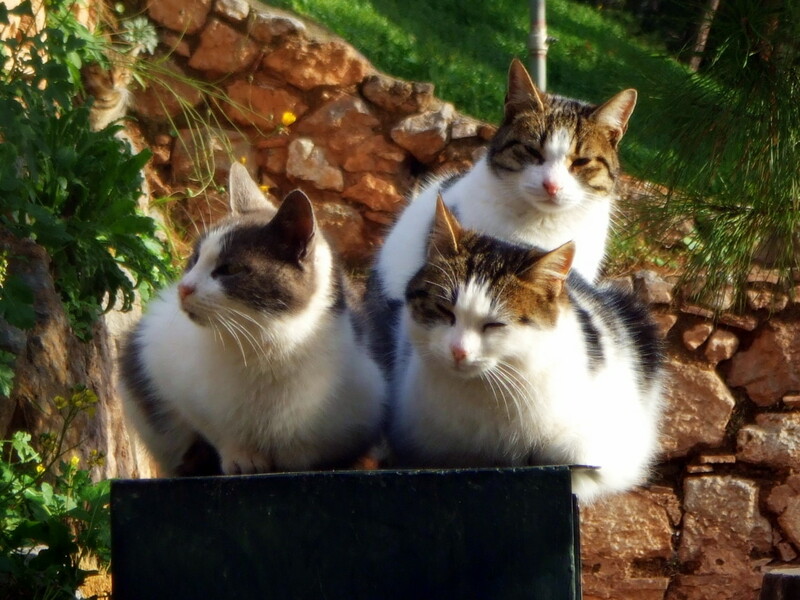 Greece seems to have tons of stray cats and dogs running around, and this cuddly pyramid of kitties were just enjoying some sun… and dare I say… cat-napping? !